Beautiful cold hardy giant bamboo. Canes emerge green and turn ghostly gray color with sunlight exposure. Order within 20 hours 18 mins and your order will ship Tomorrow! Canes have a blue/gray ashy appearance when mature. One of the most drought tolerant of all species. 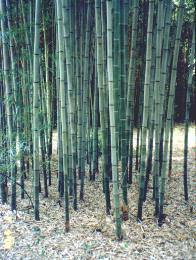 Phyllostachys Nigra ‘Henon’ Giant Gray Bamboo is an impressive giant bamboo. This bamboo can form a great screen from about 6′-35′. 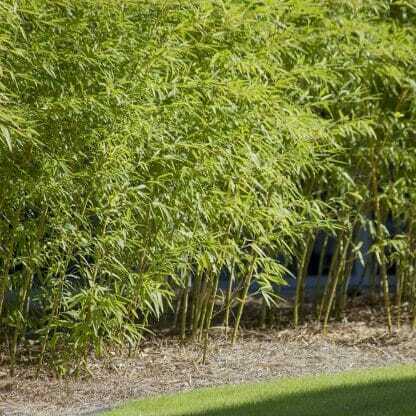 Giant Gray is my favorite bamboo not only for the size and unique color, but also the ability to grow great in shaded sites with poor soil and watering. Known best for its drought tolerance once established. From Guangdong Sichuan, China this cold hardy giant has very erect canes. The new olive green canes turn to a ghostly gray color with age. The culm sheath have wavy blades with prominent oral setae, auricles and ligules.’Giant Gray Bamboo’ grows well under a large varieties of conditions, even in heavy clay soil. This is the third most grown bamboo in Japan for timber. 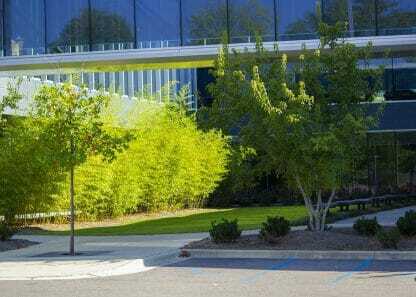 Climate Zone 7 expect mature size canes to be over 60 feet in height. Climate Zone 6 expect mature size canes to be over 40 feet in height. Climate Zone 5 it is being grown to around 18 feet with moderate top damage during winter months. 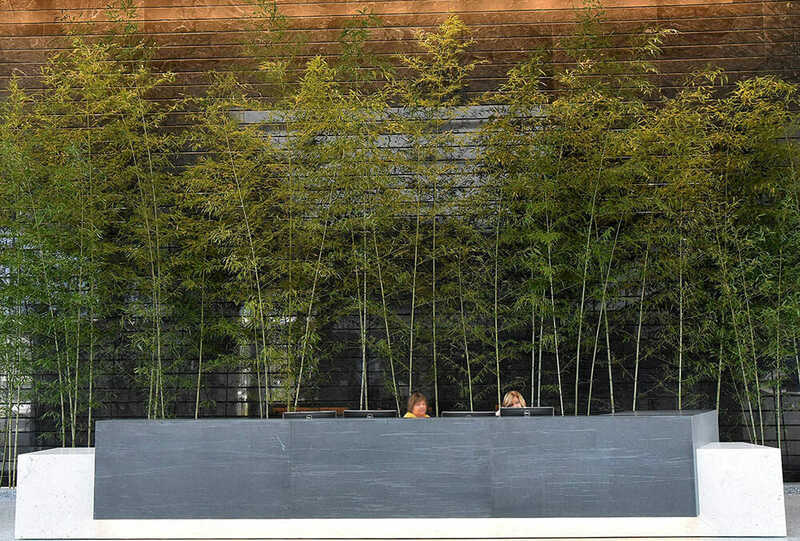 Giant gray bamboo is used in many commercial applications because of it striking appearance and low maintenance requirements. The wood is of high quality and used by many craftsmen. This is a green form of ‘Black’ bamboo that assumes a gray blue cast as the culms start to mature, giving it a ghostly gray appearance. 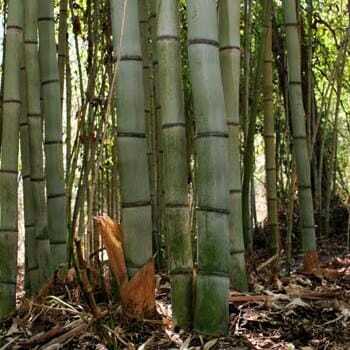 It is a large timber bamboo and thought to be the “”mother”” form of the Phyllostachys Nigra ‘Black’ bamboo. Grew quicklyReceived the plant and within a week sent up 6 sprouts. did not expect it to send up new shoots until next year. Very pleased! Yes I loved my bamboo I got off you it's doing great I put tons of mulch on it for the winter. I will be ordering another bamboo off you guys in the spring . Ordered my nigra henon a couple of months ago. Shipping was relatively fast considering it came practically from the other side of the country. The plant has been doing great. When I first opened the box the plant had quite a few brown leafs, probably due to the shipping, but greened up within a week or two. The bamboo char fertilizer didn't come with the plant, however they sent a replacement soon after I emailed them about it and answered any questions I had about it, and now I have 7 new shoots coming up! Overall I'm very happy with the plant and service I received. every bamboo that I have ever purchased here has always been great and arrived in great condition, this place is a great company to deal with. The plant arrived timely and in good health - ready for the landscape. My giant gray came as advertised and looks healthy. Fast shipping. I can't wait until the next few years when new shoots goes taller and taller. I would buy again from Lewis Bamboo. A little small for the pot size. Arrived in great condition. Planted in early spring; bamboo still consists of just one sprout. Fingers crossed for next spring! I bought this nearly 7 years ago for a very shaded location. 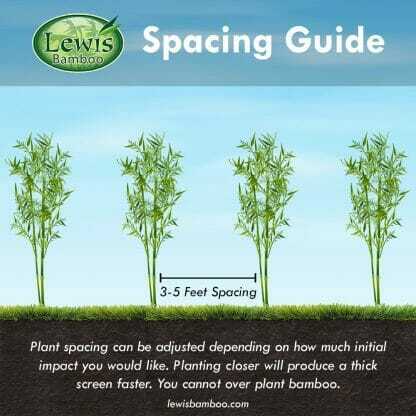 Lewis Bamboo recommended it for such sites. I have to say it has performed beautifully and screens a power line located underneath a canopy of tall trees. I have ordered more this season with the hope of repeating this successful planting. 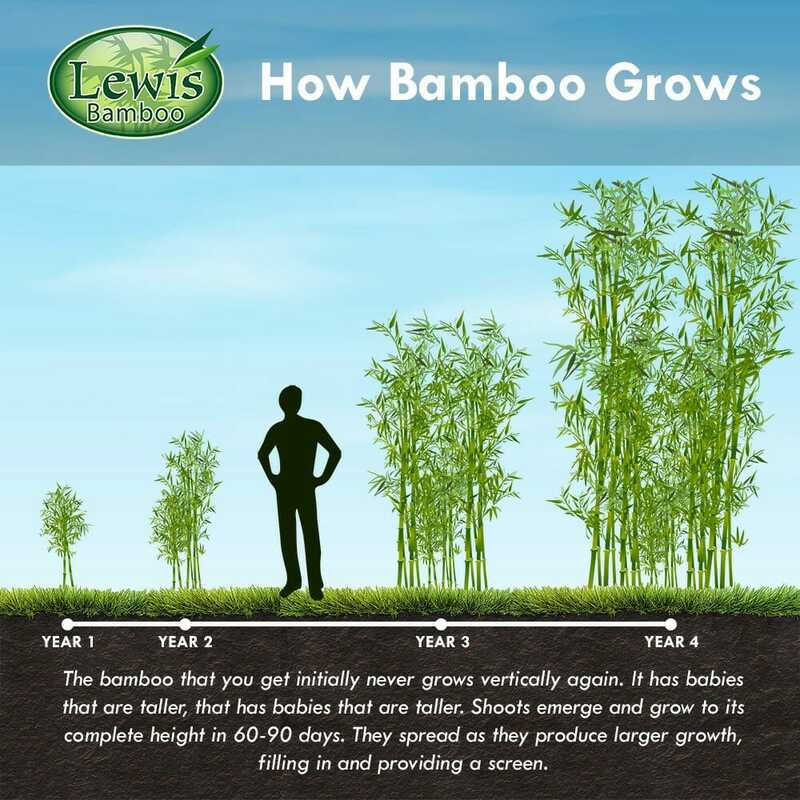 As always, Lewis Bamboo provides great plants at a great price with great service. Helpful knowledgeable staff, plants arrived looking great and got here quickly. I am a first time buyer to Lewis Bamboo and I am amazed at how fast the shipment arrived. The plant doesn’t have one blemish on it! I have seen a lot of plants shipped as I am in the retail nursery business, but this is an exceptional looking plant. Couldn’t be happier! The information on your web site is fantastic. Providing the details of how my “Henon” was going to be shipped told me that there is a lot of heart and soul put into each and every plant that you sent out. Though the plant I bought was for me personally, I will be sending recommendations to my customers as we do not typically sell bamboo. Thank you again for an outstanding customer experience. I hope the coming year brings you and your associates a stellar boo-season. Very timely shipping/delivery! Responded to all emailed questions and concerns promptly, providing detailed responses. Very fast shipping, and the bamboo looks great! Excellent communication and fast shipping. They provide quality bamboo. This was my 5th order from you. 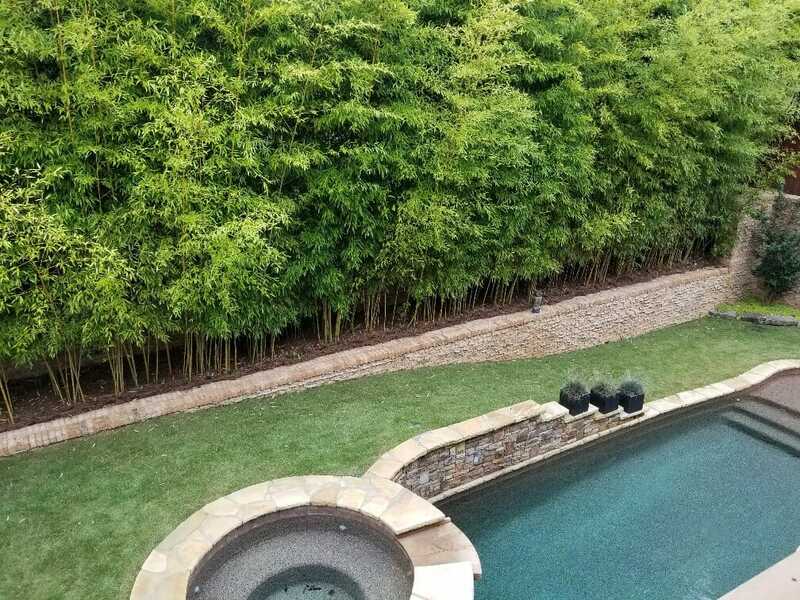 I began planting your bamboo in 2012 and only lost one vivax due to last winter's very harsh conditions. I was very concerned that we'd lost more, but so far-every plant is growing well! People around here think I'm crazy for wanting bamboo. Any ideas on how to keep the moles/voles away? (Rabbits too?) And...growing Bamboo makes for some great sermon illustrations on the Spiritual Life, like bamboo- often growing- yet undetected. Keep up the great work! Off to plant my new henon! High quality bamboo varieties, shipping was fast! The bamboo arrived in great shape. I am very pleased. Just a quick note to let you know how excited I am with my bamboo's progress. It's late August as I write this, and the several three gallon P. rubromarginata that I planted in October are putting up new shoots, and there are rhizomes intermittently visible in several places up to 6 feet from the original plants! A P. rubromarginata planted three weeks ago has put up 3 new shoots since planting, again a 3 gallon plant. The P. heterocycla pubescens (Moso) 3 and 2 gallon plants have lovely top growth from culms that grew after planting this spring, and there are rhizomes digging themselves outward in the soil already. A 3 gallon P. aurea "Koi" planted several months ago has put up three new culms, two of them just in the last two weeks. The P. viridis you shipped me (one Robert Young, one original recipe) are looking very healthy; the 3 gallon P. viridis had a large rhizome curled up around the root ball as shipped (thank you for preserving it), and is no doubt doing its thing. I am so thrilled with all the plants you've shipped me, and am already getting immense enjoyment from them. I am in the mountains of western Virginia; my site has full sun, good soil, and wind. I am watering when my work schedule allows. Thanks for doing what you do. P.S. P. nigra "Henon" is likewise thriving; dense foliage topside, one new culm, and at least one visible rhizome headed for new territory; who knows what else is going on underground, which is one of the fascinating aspects of the plant-- it keeps surprising you. I have grown transplanted bamboo (P. aureosulcata and P. aurea, I'm fairly certain) before, on a property I subsequently sold, and that was a fun experience for me. But this is better. The gorgeous varieties you offer, and the healthy, vigorous plants I've received from you, have really made this process a joy. And these plants will continue to give joy for the rest of my life and beyond. I've even got my children, who are very young, watching the culm and rhizome growth. Who knows what lifelong interests that may generate. WOW! No waiting 3 years to display this plant. I am very happy, but wish my bamboo purchases had begun with Lewis Bamboo. Your product beats the other mail order companies I've bought from AND the local nurseries to boot. I'm a Horticulture student at an Illinois College just East of St. Louis and have been adding display gardens to the campus grounds. Bamboo gets comments from everybody. Great Job. The three 3-gallon Giant Greys came this afternoon. Very fast shipping. The plants look great. One is over eight feet tall! The rootballs arrived nice and moist. I even saw some big fat earthworms in there! Surely a good sign. Keep up the good work. I will be sure to spread the good word about Lewis Bamboo to my friends up here. I wanted to drop you a quick note to thank you for working with us. It was truly a pleasure to meet you and your father. 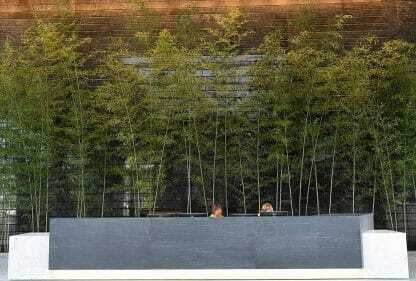 Our experience couldn't have been better from the immense knowledge the two of you have about bamboo to the uncompromising attention to detail in your customer service. We have a 3rd generation family business and understand how rare that is. it up the steep access road with our loaded down trailer. Very few business would do this, Thank you. We will certainly be back to see you and will highly recommend you when ever possible. My order arrived promptly and in excellent condition. It was packed well. Just wanted to drop you a note letting you know much we appreciate all the work you put into providing us with the Henon Giant Gray for the Rave Theater Complex in Hurst, Texas. We dropped a pretty good size order in your lap with a very small window for delivery since we were on a very strict completion timetable. Not only did you have to immediately start digging for a sufficient curing time, but of all things you had hurricane Ivan bearing down directly on Alabama, just a few days away. Roger, we couldn't be more pleased with every point of contact we had with your company including the pinpoint delivery a few weeks ago. The bamboo was excellent and everyone involved was extremely happy with the quality of the bamboo, including height and caliper. It already makes an impressive statement against the massive walls. Sky's the limit now. 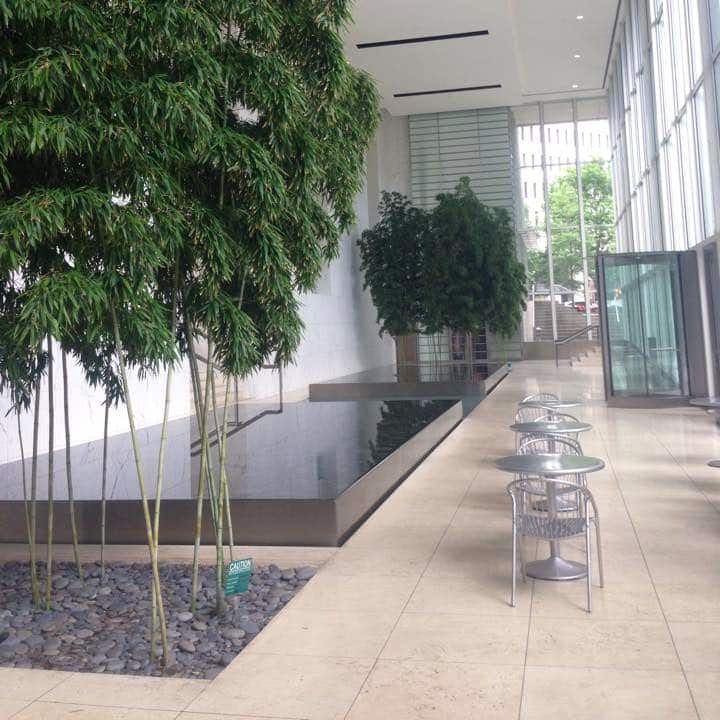 We had to crane all of the bamboo over to the planters and managed to plant all but about ten that Monday you delivered. Look forward to working with you guys in the future, but I can't imagine how you'll be able to improve on quality and product the next time around. Good luck. 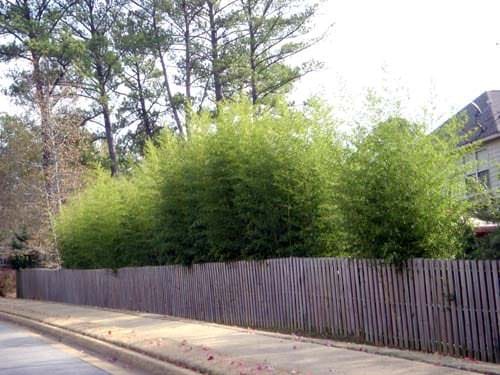 Climate zone 6b and warmer can plant bamboo all year long. In climate zones 6a and colder, it is best to wait until after your last hard frost until you plant. You can eat Phyllostachys nigra Henon. Here are instructions on how to harvest and prepare bamboo shoots. Answered by the admin	Shooting times can vary on planting conditions and current weather. Typically shoot production will start in late March for zone 8.